As the final putt dropped at Augusta on Sunday evening, Bubba Watson was celebrating his second green jacket in three years. Despite his unpredictable style, Watson was by far the coolest customer over the weekend and was an ever present on the leader board from day one. 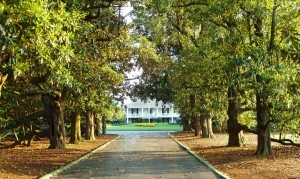 Controlling his driver with accomplished ease, Watson overpowered the field at Augusta and became part of an exclusive club; those with multiple green jackets. 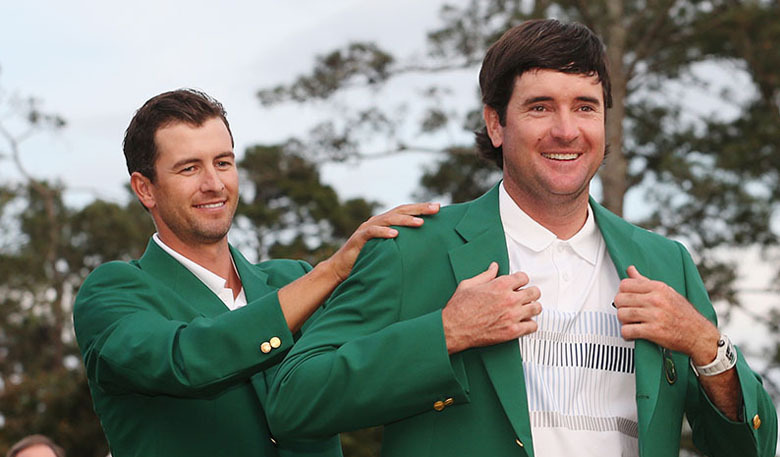 The man who put the green jacket around Watson’s shoulders was the previous year’s champion Adam Scott. As is tradition, the defending champion stays around to present the trophy (or jacket on this occasion) to the new champion. Watson and Scott are two great champions and are right at the very top of the game. However, it’s interesting how different the two players are. On one hand we have the elegant and technically strong Adam Scott. Everything about Scott is organised, through his technique into the way he behaves on the course and prepares for tournaments. Then on the other hand we have the swashbuckling and extrovert whirlwind that is Bubba Watson. Watching Bubba play a round can be a very exciting and sometimes an exhausting process! Bubba lives by the motto that he plays golf for fun and that’s what he always strives for, it just so happens he is really good at it too! The fact these two great players both achieved Masters glory, but in two very different ways, really interests me. It shows us all, that to get the very best out of our game we should stick to what feels natural. Working with what comes naturally is usually the best way, and instead of trying to hide this I believe you should uncover it and find whatever works best for you. 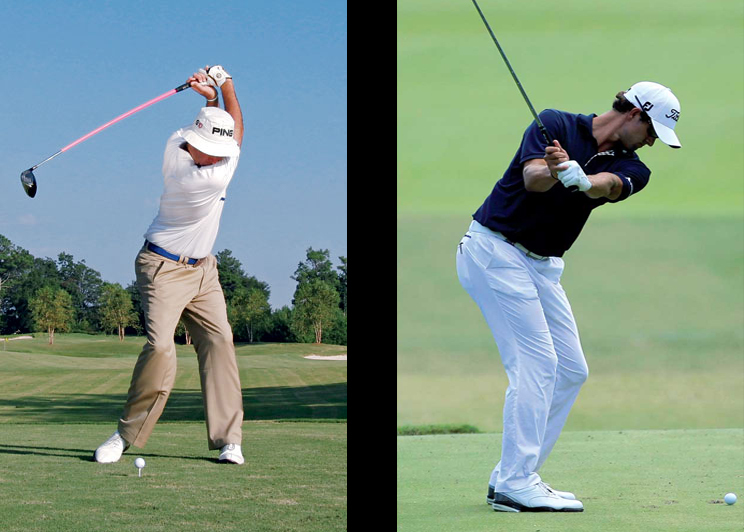 Taking a look at both players’ swings above, you can certainly notice the rather ungainly and out of balance technique from Bubba (left). 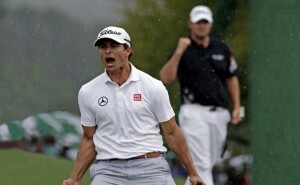 In stark contrast we have the serene and controlled Adam Scott on the right. Trying to get each player to swing like the other would not work, but allowing them both to express and play with their own personality just works! Play and practice in a way that suits your personality, remember the importance of feeling comfortable. Second but more importantly, remember Bubba’s motto; always have fun on the golf course!